The happiest time of the season is here: it is Christmas time. Snow fall, freezing nights, cosy days and so much fun to endure. A lot of food, hanging out with our closed ones and a lot number of guests flowing altogether at your place. Yes, you heard it. Christmas might seem a fun thing, but when you have so many people coming your way, its hard to deck your place well and not mess up your impression on everyone. Fibre optics or as they are also called optical fibres, are very thin, as thin as a strand of human hair are strands of glass. Fibre optics is an emerging technology that uses glass or sometimes even plastic threads to transmit data. In this case, light can be transmitted through them very easily and with very less loss of energy and strength. This type of decorations highlights the place a lot and are so different from the rest. They can change colours or also be still accordingly. They have so many variants and themes, that it is actually a delight to watch these amazing decorations. 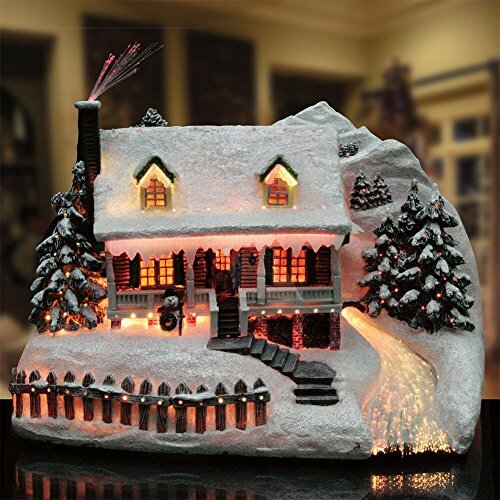 Out in a starry night in your yard, or in your place: this decoration will suit all the corners and make the place look so much better with its dazzling lights and colours. Most of the houses have a creative village set up of Jesus Christ with a lot of decorations. It is the centre of attraction in the entire decoration. However, it may appear somewhat dull without proper lighting and brightness. Putting out some fibre optics decorations in the field will definitely make it look better and brighter. Anyway, its celebration time in the village as well. Isn’t it? The major part of the day which need so much thought and decoration. 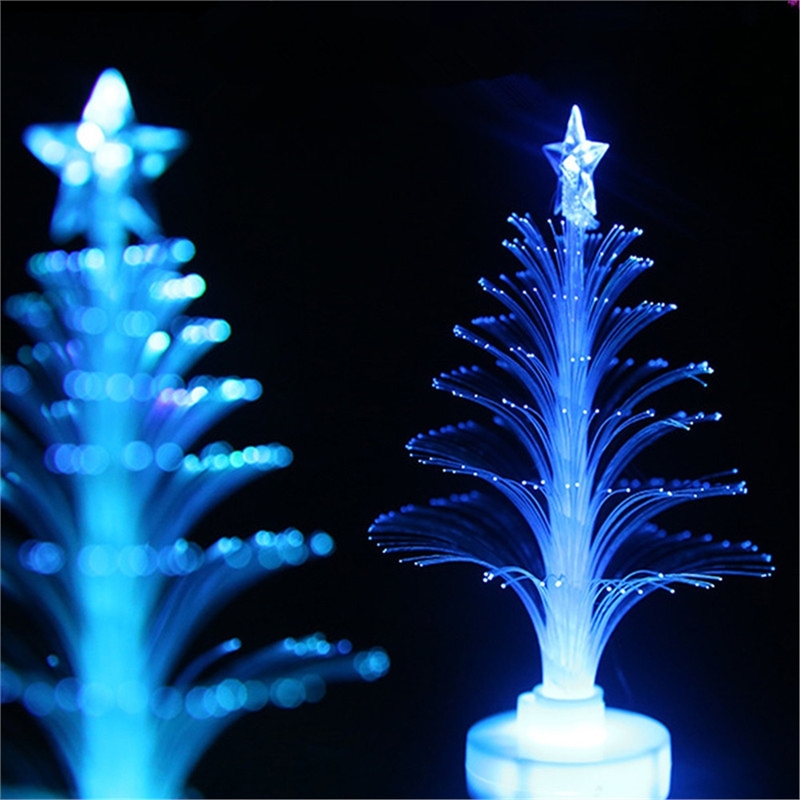 Instead of getting a plain tree and then spending time and energy on decorating it, you may as well get a fibre optic tree. It can prove to be one of the most happening corners of your place where you put up this amazing tree. People are definitely going to make that corner their photography place. And why not? it will have colour, it will have a lot of light and it is as well very attractive and make their pictures so much better. After all we cannot deny, every celebration is n excuse to update social media with photos. A Christmas tree is totally incomplete and dull without a proper tree top. 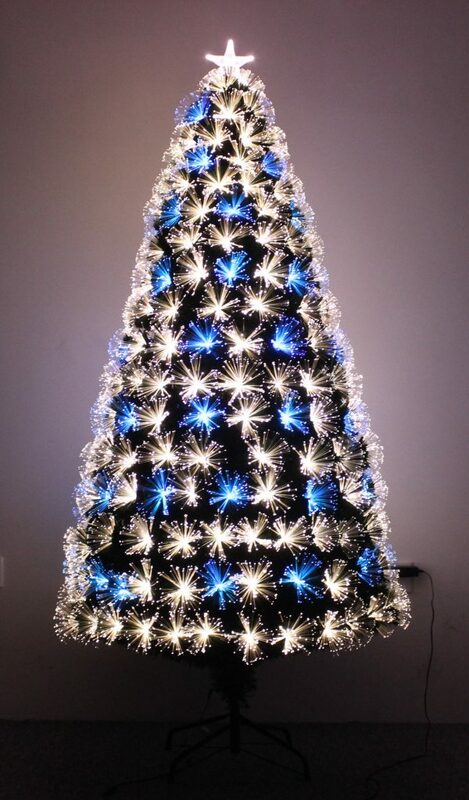 Well when you are getting a fibre optic tree top, you may as well get a fibre optic tree top in the shape of a star or an angel may be. This type of tree top will definitely boost the decoration of your tree and it will go well with a fibre optic tree too. Your tree is all lit and complete and now even brighter with this tree top. Get yourself a bunch of amazing fibre optic lights to roll them down your windows and doors or the empty ceiling. These lights give your place such pretty colours and of course a lot of light. Your place is going lit with this. Turn your place into a party with these lights. Get them in different shapes like the ones below in butterflies. If you get the ones that change colour a lot, your place will look even more amazing. Yes, fibre optic garlands are easily available and an optimum choice to make. You can decorate so much part of your house with these bright looking garlands. Go around staircase, your shelves. These are going to light up your place like nothing will do. Your can use a lot of colours to match your overall theme or simply get the Christmas colours: red/blue/white/silver/green/golden. Christmas decorations are so incomplete without a lot of wreaths hanging by your door and windows and at every possible entrance and every gate you have. Too much? Well it is Christmas. 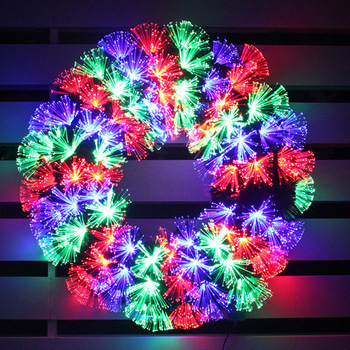 Get some glowing wreaths in a lot of colours and decorate your place with them. Greet all your gang with a wreath at every entrance. Make their wait at the gate worth a while. Just imagine the amazement these lights are going to bring to your place at night. They do their best when its dark. 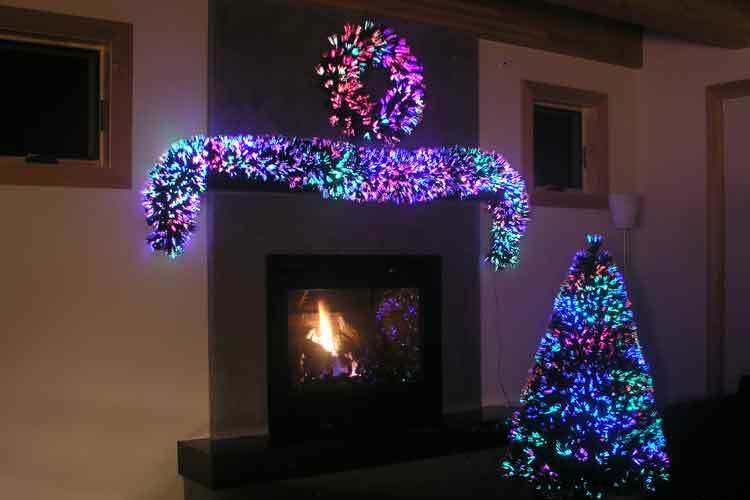 All the guests are just going to be totally obsessed and mesmerized with this type of fibre optic decor. Replace your regular flowers with these lit fibre optic flowers and make those shelves and corner tables feel not so left out. Your vases are never going to look more beautiful than this with these optical fibre flowers. With so much colour and brightness, you may want to keep these on even long after Christmas is gone. Grab all the colours you can and make your place look all the more colourful. I am very sure that with all this put into place at your house, your place is going to look so amazing that it will be very hard for people to leave your house. After they have had their share of being at your amazing place. You are going to get a big hit on social media with people flaunting your place in their bunch of photographs. 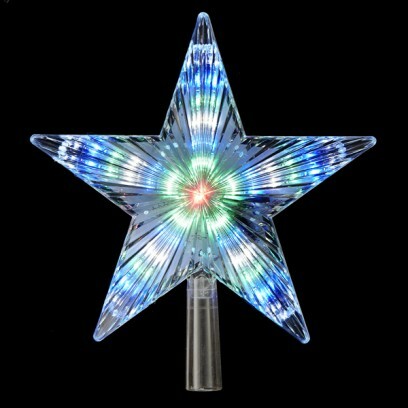 Make it the best Christmas decoration with you being the star behind the set. Hope this Christmas is as blissful and happy for you as much as it can be. Greet your guests this season with this out of the box décor and you and all the other people are so going to love it.